Celebrate everyday acts of kindness and bravery with the Peanuts gang in this uplifting board book that’s perfect for gift-giving! ...being kind may take time but the cost is free. It’s tough to be brave when you’re high in the sky. It’s true: you may flop, but you also might fly! Go sing in the rain if it makes you smile. There’s only one you. You have your own style! 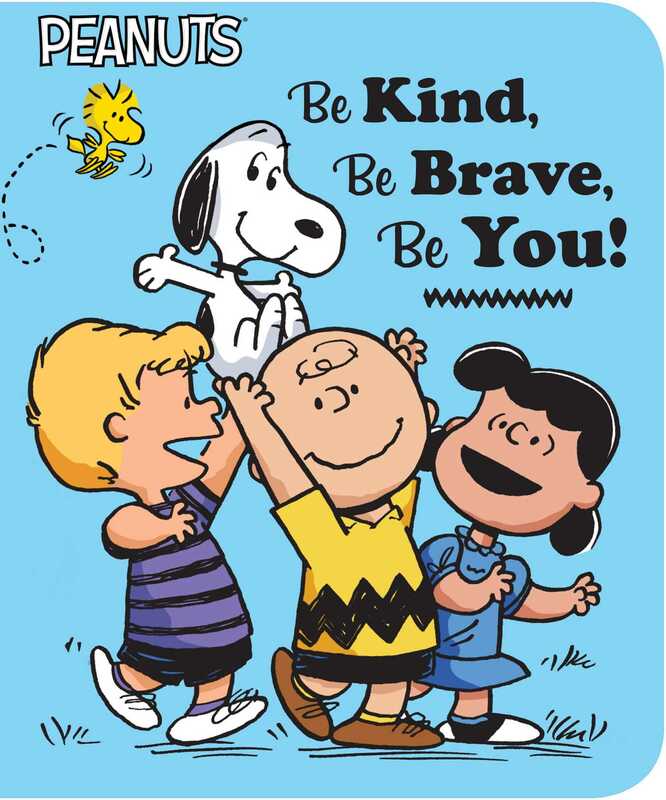 In this ode to kindness, bravery, and being yourself, Snoopy, Charlie Brown, and the whole Peanuts gang encourage young and old fans to look inside and discover that caring and courage are contagious! This special board book is the perfect gift for Peanuts fans of all ages and anyone who’s looking to spread a little more kindness in the world. Book Cover Image (jpg): Be Kind, Be Brave, Be You!